We’ve got two finalists at the CTIAF! What incredible news to start the year! We’ve just heard that Cameron van Tonder’s Feared Future and Simon Kotze’s Ben’s Lab were named as finalists for the Cape Town International Animation Festival. Amazing! We’ll find out more about their achievements during the festival, which will be held from 8-10 March at the River Club in Cape Town. To learn more about the CTIAF, check out their website here. 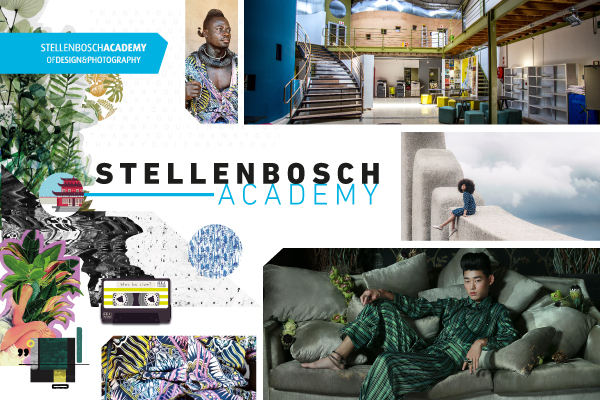 This entry was posted in Uncategorized on February 6, 2019 by stellenboschacademy. We are so proud to be part of this jazz event honouring Peter Mayekiso and Samson Msemme, apartheid activists from Kayamandi, Stellenbosch. With Herbie Tsoaeli and the African Time Quartet as the headliners – it’s going to be an incredible night! It takes place this Friday (20 July 2018) at Fismer Hall, Stellenbosch University. This entry was posted in Uncategorized on July 17, 2018 by stellenboschacademy. Over the weekend, Lene van Heerden was awarded the best production as an individual in the tradigital category for the student awards at the Cape Town International Animation Festival! To both Lene and her lecturer Daniela de Lange – well done! We are so proud. You can see some more pictures of the event below, as well as the winning film itself. This entry was posted in Uncategorized on March 5, 2018 by stellenboschacademy. We are proud to announce that Morgan Mulholland has been shortlisted for the Sony World Photography Organisation Awards Student focus. From all the global entries for this category, Morgan is one of only 10 Finalists and the only African finalist – we couldn’t be happier! This is now the fifth year in a row that our Photography students have been shortlisted for the awards – testament to the hard work of our students and our lecturers alike! To learn more about the Sony World Photography Awards click here. And to see more of Morgan’s incredible work check out his website here. This entry was posted in Uncategorized on March 2, 2018 by stellenboschacademy. The year is only beginning and already our students are doing amazing things! Lene van Heerden, Nicolas Hulley & Justin Kingwill were just announced as nominees in the student awards for the Cape Town International Animation Festival (CTIAF). Well done everyone! The awards ceremony takes place on the first weekend of March and we can’t wait to see how they do! To learn more about the CTIAF and follow our students’ journey, you can check out their website here. This entry was posted in Uncategorized on February 8, 2018 by stellenboschacademy. Hollie Fernando is a photographer based in London who takes such beautiful portraits. This set is something we’ve not seen much before: She took photographs of every trick or treater that knocked on her door for Halloween last year. Check out Fernando’s site here. This entry was posted in Uncategorized on November 13, 2017 by stellenboschacademy.